New Modern Name Plate Design with Slider Sign. Signs that slide to reveal the status of an office space. 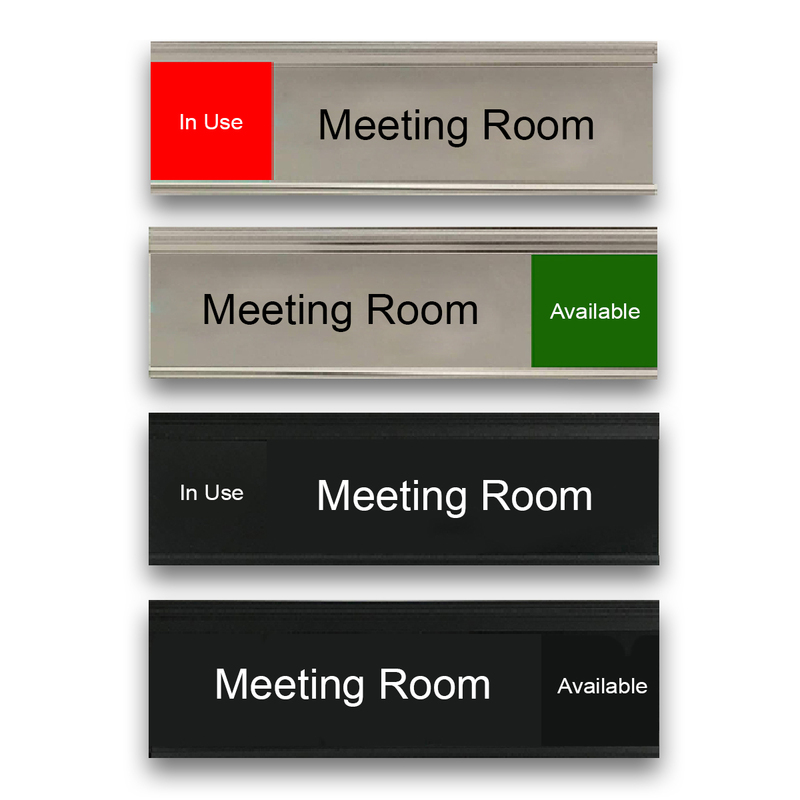 Durable, stylish office slider signs for office walls or doors. Slide the modern sign to show the status of your Meeting Room. 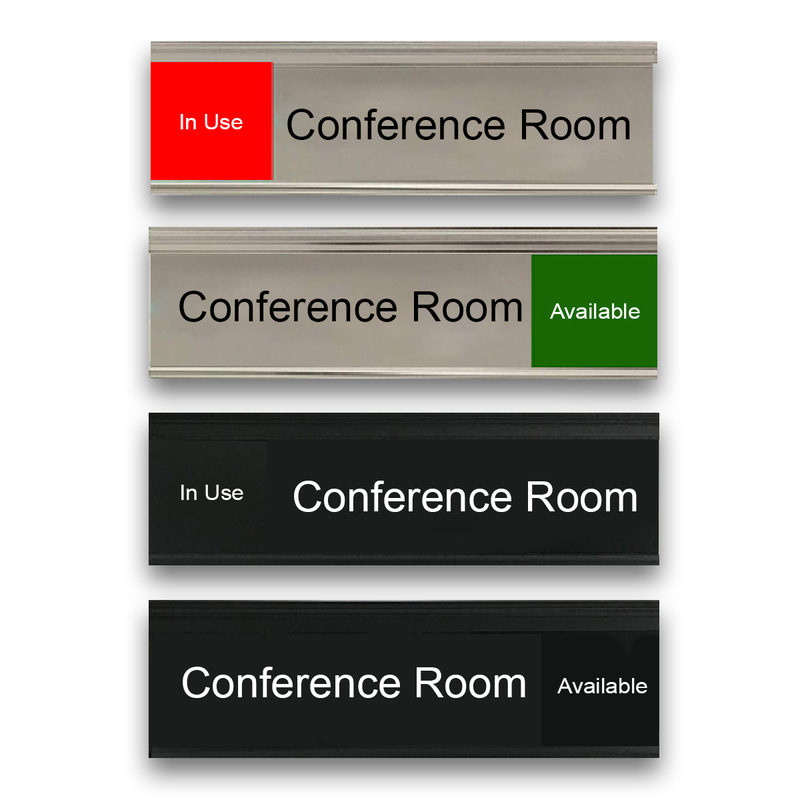 Slide the modern sign to show the status of your Conference Room.